You picked out your dream floors and worked with Zothex Flooring expert installers to create your dream home floors. 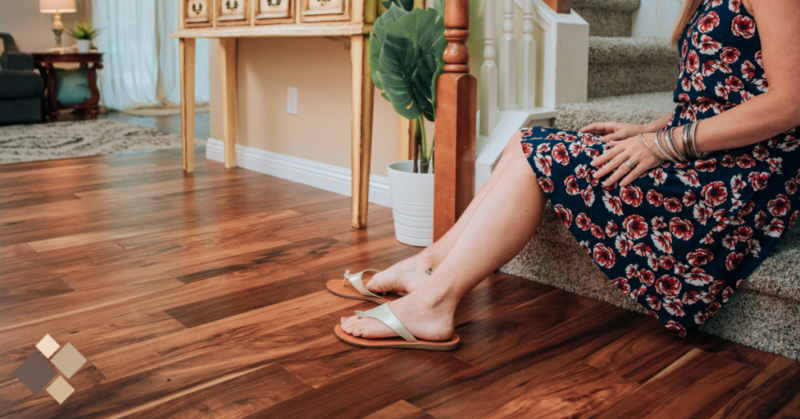 Whether you updated your high-traffic hallway carpet, or went with waterproof flooring throughout your kitchen, you want your floors to stay this beautiful for years to come! The right floor care can help you keep your investment looking great. Check our a few helpful tips for carpet, hardwood, tile, and vinyl from the masters of the art of flooring. While carpeting should be deep cleaned or professionally cleaned regularly, other flooring such as wood, laminates, vinyl, and tile can be easily cleaned with store-bought cleaning products that work on almost every surface and area of the home. The first step is to know what kind of floor you have and how it’s finished and sealed before selecting a cleaner. When you follow the flooring maintenance and care guides, it’s easy to maintain the beauty of your carpeting. Zothex provides a one-year labor warranty on our carpet installations, and many manufacturers provide a warranty on the carpet itself. Almost all carpet warranties will require that you have a professional carpet cleaning your carpet every 18-24 months. Outside of professional cleaning, regular floor care can help maintain your carpet for years to come! Vacuum regularly especially in heavy traffic areas. Use furniture carpet protectors or rotating furniture in your room can help prevent permanent indentation. Plan for a deep cleaning (or have a professional cleaning) in high traffic rooms every 18-24 months. Avoid any household cleaners that are not listed within the approved cleaner in your care and maintenance instructions. Hardwood is a beautiful and timeless option for flooring, as you can repair and refinish as needed down the line. Water is usually not recommended for use on waxed wood floors and should always be used sparingly on all types of wood floors and finishes. Saturation or standing water can cause lasting damage. Don’t worry though, you can handle it! The trick is lightly cleaning often and using the correct cleaning solutions. Sweep or lightly vacuum frequently to pick up particles that can build up over time and scratch the surface. To minimize the need for damp mopping, use a dust mop or a dry microfiber pad for routine floor cleaning. Always clean spills right away, and never allow water or any other liquid to remain on the surface of your wood floor. To avoid floor scratching, it helps to keep your pets’ nails trimmed. Use furniture pads for heavy pieces that sit directly on wood floors. Laminate is a low-maintenance, less expensive option that can look just as beautiful as hardwood flooring. It’s durability, scratch-resistance, and kid and pet-friendly are often enticing for families. Cleaning and floor care is easy with the right tools and materials! Use a dust mop, soft bristle broom or a vacuum cleaner with suction only (no rug beater ) to remove dust, dirt and loose particulate on a regular basis. For slightly damp cleaning, spray a good quality Hardwood & Laminate Cleaner onto a cotton, terrycloth, or microfiber mop. Avoid wet-mop cleaning with water or liquid cleaners. Vinyl flooring offers durability for busy spaces with the benefit of low maintenance. Start by making sure to remove dirt and dust before it gets ground in, and your vinyl will last longer. No-wax vinyl is coated in a clear polyurethane coating, and simply needs light cleaning. Wash with a vinyl cleaner made specifically for no-wax floors, following the directions on the container. Older Vinyl flooring may have a wax coating that requires re-application when it loses its sheen. Clean these floors with warm water and detergent, agitating just enough to loosen the dirt. Rinse with clean, cool water. A lightly damp mop is key with vinyl and many floors, as water from an overly wet mop will work its way into the cracks, seams, and edges. Once there, it can ruin the glue bond that holds down the vinyl, causing it to come loose or corners to curl. Tile is a great option for entryways, kitchens, and bathrooms. With a variety of finishes and options, it can provide an elegant touch to your home. Since it’s waterproof and highly durable, it’s perfect for busy spaces and lots of splashing. Sweep or vacuum your tile floors a couple of times a week. This will remove sand and grit can dull and scratch the surface. When mopping, mix a mild detergent with hot water and apply with a rag or chamois mop instead of a sponge mop. We’re passionate about the art of flooring here at Zothex! Whether installing, cleaning, running along or resting on, floors are where your life happens. They should be beautiful, durable and designed for life. Looking to upgrade your flooring with a low maintenance option we mentioned here? Contact our team today to set up an in-home estimate, or visit our Sacramento showroom!